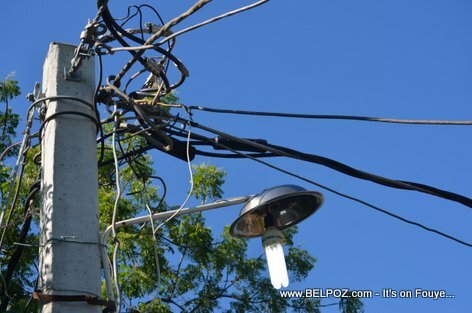 One of the power lines in the area of Nan Joumou, Peligre, was knocked off into the ground. These people decided to put the residents of Haut Plateau in a blackout for refusing to protest, to help them, the corespondent for Radio MEGA reported. I spoke to a dear friend of mine that businesses in Haiti that supply electricity to customers not happy the people receiving free electric. The country face a lot of evil people inHaiti. They took an opportunity to cut the line so customers will return to paying for electricity.